Our new Batman, whoever it is, will be a much younger version of the character who is still getting his feet wet, according to Ben Affleck. The Batman, as it's currently titled (though that's subject to change) is to be directed by Matt Reeves (War for the Planet of the Apes) and is finally going into production later this year, without Affleck as the Caped Crusader. While Affleck is no longer involved, he knows a thing or two about what's coming our way and dished just a little bit in terms of what we can expect. Ben Affleck is currently promoting his new movie Triple Frontier, which debuts on Netflix later this month and serves as his first movie role since Justice League hit theaters in 2017. While he can't say much, the actor was asked about The Batman, which he was originally going to direct himself before stepping aside. Here's what Affleck had to say about it. "I'm looking forward to it. They've got a great director. They're doing a kind of, I don't want to give away anything because they get...but they're doing a young version, a more starting-out version with a younger guy... I'm sure it will be great." This lines up with what we've heard previously. We know that Matt Reeves is looking for a younger actor. It's also been reported that this won't be a completely fresh Batman, but one with less experience. On the flipside, Zack Snyder cast Ben Affleck for Batman v Superman: Dawn of Justice, looking to showcase an older, seasoned and more grizzled version of the character, which is something we hadn't really seen previously. One question that will always linger; what would Ben Affleck's solo Batman movie have looked like? Unfortunately, we'll never know the answer to that question. All we really know for sure is that Deathstroke was going to be the main villain. 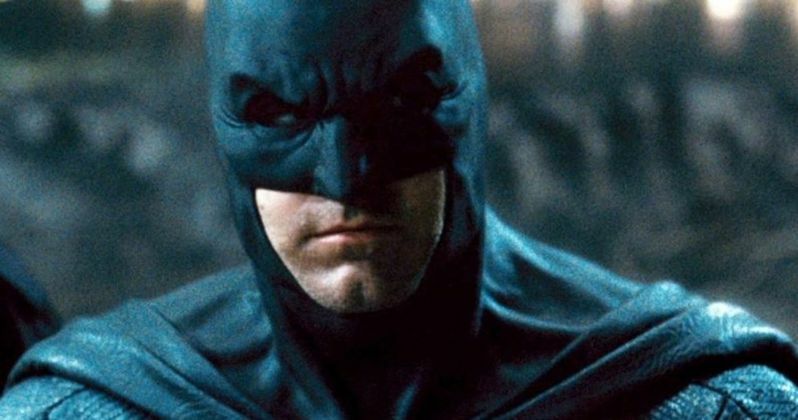 When asked in a different interview with IGN about his vision for The Batman, which was ultimately abandoned, Affleck reiterated previous comments, saying that he just couldn't crack the story in a satisfying way. "That was part of the problem. We worked on the script, I was trying to figure out how to crack it, and I was never happy enough with it where I thought it was worth going out and making it, because I just didn't want to do a version that I wasn't really excited by. So I still don't know." Plot details are currently being kept under wraps. However, Matt Reeves has said his movie will focus more on Batman as a detective and will have a noir feel to it. Actors like Nick Jonas and Joey Lawrence have thrown their hats in the ring to take over the role, but we're still waiting for a true frontrunner to emerge. Hopefully, some names will make their way out into the world sooner rather than later. The Batman is set to hit theaters on June 25, 2021. This news was previously reported by Entertainment Tonight Canada. The Batman Will Be Set in the 90s? The Batman Frontrunners Rumored, Who Are They? How Does Snyder Feel About Affleck Bailing as The Batman?